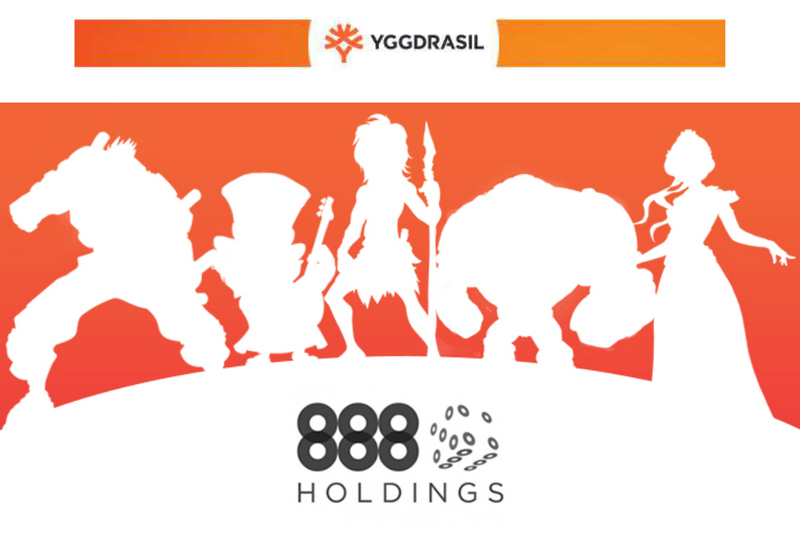 5th July, 2018 ­­– Yggdrasil has signed a deal to supply its content to online gaming operator 888 Holdings plc. The global agreement covers all joint regulated markets, including the UK, Italy, Denmark and Spain, and will see 888 add Yggdrasil’s award-winning portfolio of video slots, including recent blockbuster release Vikings go to Hell. The suite of Yggdrasil slots will be available to 888 players across the operator’s core business, 888 Casino, and will enable 888 to utilise Yggdrasil’s range of complementary in-game promotional tools, BOOST®. Yggdrasil CEO Fredrik Elmqvist, said: “This is further evidence that our content is in high-demand from operators and we are delighted to have 888 on board. “We are working tirelessly to ensure this integration is accelerated and 888 customers can enjoy our games as soon as possible. Yggdrasil is a provider of superior online and mobile casino games. It has emerged as one of the industry’s most respected and acclaimed suppliers and provides games for some of the world’s biggest operators, including: bet365, Betsson Group, bwin.party, Cherry, LeoVegas, Mr Green, Casumo and Unibet. Yggdrasil’s slots are renowned for their outstanding graphics and gameplay and many have become global hits. They are integrated via the industry-changing iSENSE 2.0 HTML client framework which allows for simultaneous launches on desktop and mobile, and is supported by BOOST™, a collection of promotional tools focused on engagement and retention via concepts such as Missions, Super Free Spins™ and Cash Race, and BRAG, an industry-first concept which allows for the promotion of games via social channels. Yggdrasil was the winner of Innovator Supplier of the Year at the 2017 and 2018 International Gaming Awards, Slot Provider of the Year at the 2016 and 2017 EGR B2B Awards, Gaming Software Supplier of the Year at the 2016 International Gaming Awards and Software Rising Star at the 2015 EGR B2B Awards. 888 Holdings Public Limited Company (888) is one of the world’s most popular online gaming entertainment and solutions providers. 888’s headquarters and main operations are in Gibraltar and the company has licenses in Gibraltar, the UK, Spain, Italy, Denmark, Ireland, Romania, Nevada, New Jersey and Delaware. 888 has been at the forefront of the online gaming industry since foundation in 1997, providing to players and B2B partners an always innovative and world-class online gaming experience. At the heart of 888’s business is its proprietary gaming technology and associated platforms, allowing 888 to differentiate itself from and innovate ahead of competitors.